The third pillar of Islam is zakat, an obligatory charity given by Muslims who can afford it to community members in need. It is said that just as ablutions purify the body and prayer purifies the soul, zakat purifies one’s wealth and possessions. This form of charity also helps the community, whether it is to grow and thrive or simply to get by and survive. Beyond the obligatory giving, however, voluntary charity is highly valued in Islam. And when it comes to standout Muslim athletes, whose physical skills and hard work have earned them great wealth, we have seen that spirit of giving manifest in some incredible ways: Former world champion Amir Khan recently launched a boxing academy in Pakistan. World Cup winner Mesut Ozil has paid for the surgeries of hospitalized children in Brazil. Retired NBA All-Star Shareef Abdur-Rahim paid to build a mosque in California. The latest news of a Muslim athlete going above and beyond the call of charitable duty comes from Oman, where soccer star Ali Al-Habsi has opened a soccer school in his native country. Al-Habsi, 34, plays professionally for Reading FC in England’s Championship league. He is also the captain of Oman’s national squad, which he helped lead to a Gulf Cup of Nations title in 2009. 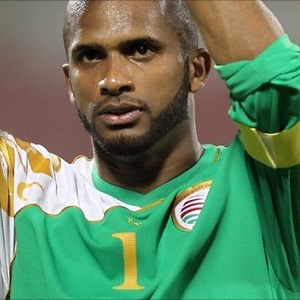 Al-Habsi is considered one of the most popular and influential figures in the Muslim-majority Arab country that borders Saudi Arabia, Yemen and the United Arab Emirates. Having felt the need for a football academy while growing up in his hometown Mudhaibi, and then in Muscat, Ali had a long cherished dream of opening a top-class school in Oman supported by professional Omani coaching staff. Ali said, “This [opening of a football school in Oman] was one of my dreams. I want to put everything in this project and give back to my country my experiences of a long football career. Ali has played in the English Premier League with Bolton Wanderers and Wigan and featured for English Championship side Brighton and Hove Albion. He has been with another Championship club, Reading, since July 2015. “I strongly feel that by starting a football school, which later will be transformed into a full-fledged academy, it is the best possible way to give back something to my country,” said the 34 year old goalkeeper. “Of course, it is going to be a long journey. We are yet to officially launch the school. We would like to go step by step. The focus is to provide the best training facilities under top professional coaches. The school has reportedly accepted more than 70 students already, with age groups 8-10, 11-12 and 13-15 years. Some will say it’s just sports and not that important. But by creating a soccer school in Oman, or a boxing academy in Pakistan, athletes like Al-Habsi and Khan are not only giving athletes a place to train. They’re also promoting academic achievement and creating jobs in the community. They are giving more youngsters with aspirations of being like their athletic role models something real that they can see and strive for rather than just dream about.